HCN reader photo - goats! Would you like some DDT with that organic cucumber? 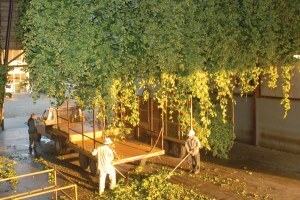 Organic hop growers are toasting new regulations that require organic beers to use organic hops. 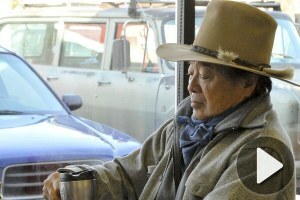 "Farmworker Reality Tours" teach citizens about the lives of California's migrant farmworkers. In West Oakland, Calif., the Breathmobile fights inner city asthma. A day with the asthma-fighting crusaders of West Oakland, Calif.
Rolling fields of the Northwest. Boots and sky. What more could you ask for? 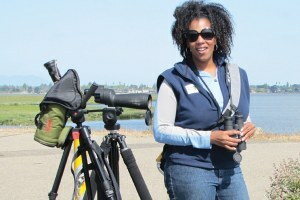 Rue Mapp's group Outdoor Afro encourages black people to explore nature and learn about things like bird-watching. In Dreaming the Biosphere, Rebecca Reider looks into the story behind the failed Arizona experiment. Greens don't love him, but he's not all bad.